The hushed talk of the mobile app world town is that in the time to come Native Apps – those made specifically for Android and iOS will face strong competition from the ones developed for both using a single codebase: Cross-Platform. Drawn by the observation that cross-platform frameworks like React Native and those like Flutter, which are even more advanced, the mobility world is now soon going to enter an era where the voice questioning: Native vs Cross Platform will become even more prominent and loud. 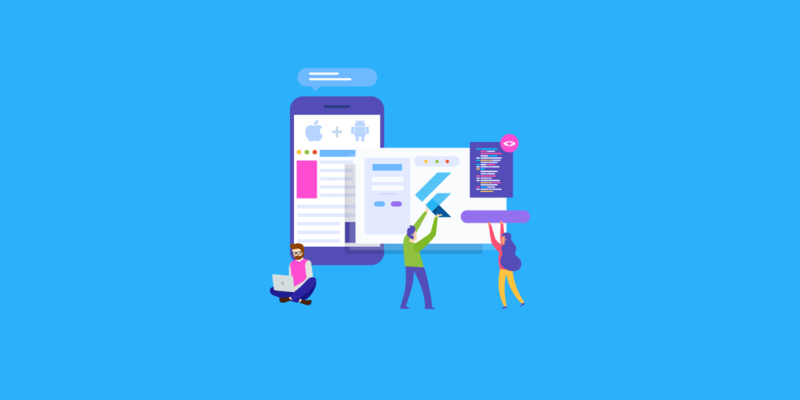 And although sitting on today, there is no match for Native Android and iOS development and the benefits that it offers, there is one sidekick framework that is now emerging to give a completely next level fuel filled competition to the Native approach – Flutter. The framework which was assumed to be Google’s hobby which would soon be forgotten when received its first update Flutter 1.2 and Dart 2.2 changed the complete image. The tool, in a matter of a few months, not just found a loyal user base in some of the most established names in the world – Alibaba, Tencent, etc. – but also launched a Hemmingway plan where no cross-platform framework had gone before – Web. The whole industry, seeing the benefit of Flutter association is now warming up to the idea that the day of ultimate competition is near. Now we are not saying that it would happen overnight, it would take time but the app industry is believed to be heading there. See how the mobile app community – both on the side of developers and businesses are warming up to the idea of Flutter as the first choice of developing apps. In fact, that is the reason why more and more developers are now heading out to try their hands at a wide range of tech stack and languages so that they remain in demand when the time of Native demise comes. Now while React Native has already established itself as a framework that app developers who wish to continue in the development line should get their hands on, the famous tool is now seeing itself getting sidetracked by a whole new tool on the block – Flutter. 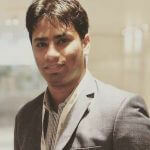 And the list of advantages of Flutter mobile app development is also not left unknown. Because we have already deep dived into the React Native vs. Flutter debate in much detail along with Flutter app development benefits over React Native app development, let us, for this article, focus on why it is time that Android and iOS developers shift their focus to Flutter app development and upping their skill in the domain. What has kept iPhone app developers away from investing their time in cross-platform app development till now is the fact that the tools that allow them to develop two apps from a single code base deliver a quality that evidently shouts something is missing. This sense of incompleteness added to the fact that Swift is one of the best tools to work on has been the reason to keep them from looking into the direction of cross-platform. But, ever since Flutter has entered the market, it has become almost impossible to find a difference between a Native app and one developed using Flutter framework. The smoothness, slickness, and mere nativeness that the framework comes with, makes Flutter for iOS developers an ideal choice. Since it has already been established that Flutter has now made itself known in the mobility domain, the timing is apt to see a slight comparison between Flutter and Native iPhone app development to get an idea of which is better than what. While Swift or Objective-C comes into use when developing Native iOS apps, Flutter makes use of Dart language. The IDEs also, like the languages, are different. While Native iPhone apps are developed using Xcode, Flutter uses Android Studio, IntelliJ Idea, or other text editors like Atom or Sublime Text. Now what makes Swift built apps truly fast is the fact that all the components that go into it are developed natively. Flutter, on the other hand, uses a Dart framework without the need of bridging to communicate with native modules – meaning, Flutter for iOS developers already has everything which is required for native application development. When iOS apps are developed natively, developers are made to rebuild the complete app or the third-party dependencies for seeing the changes in devices or the stimulator, every time they make a change in the application. The answer to why use flutter for ios and android app development, on the other hand, lies in the fact that it gives a hot reload option where all the changes that are made appear on the simulator in real time. The other productivity affecting feature that is present in Native iOS development is the dependency management program. The dependency management in case of Native development is dependent on several third-party tools such as Carthage or CocoaPods, which comes with a learning curve. Flutter app development benefits, in this case, can be seen in the fact that the framework makes use of its personal dependency management tool called Pub. The dependency handling system is already built inside the Flutter apps, which makes it extremely easy to get new dependencies as and when needed. The native framework which is used by Apple to create UI components is known as UIKit – the all-inclusive event-driven user interface that offers a wide range of gesture support. The framework comes with native support for document, animation, printing, and drawing. The UI engine of Flutter, however, acts very differently. It runs on rendering engine and own framework. The engine which is basically a tree of stateful and stateless widgets holds true to its name and offers loads of widgets that are absolute pixel perfect. 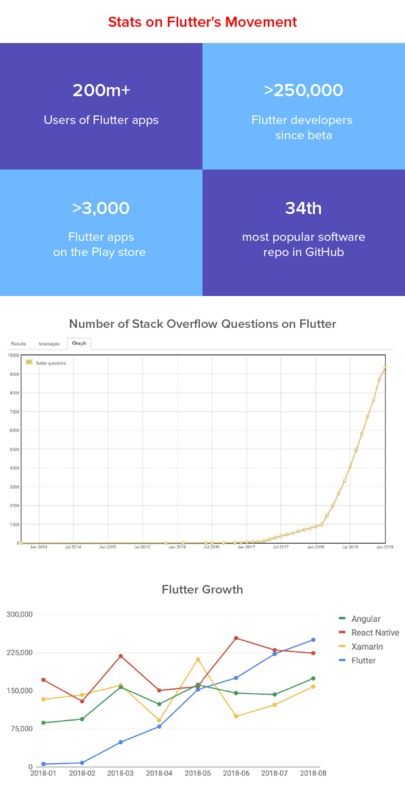 The UIKit of Flutter is, in fact, the number one reason of why should Android and iOS app developers consider Flutter. Apple offers a native testing framework known as XCTest for integration, performance, and the UI testing of the iOS apps – a framework that doesn’t come free of issues. The XCTest framework comes without a number of important elements like – grouping of test, data-driven testing, snapshots test, etc. But one of the biggest shortcomings of XCTest is mocking and stubbing, while the former asks for a lot of code, there is no native support for the latter. Flutter offers a rock-solid test framework that allows the developers to write test at a functional, unit, and UI level. The framework even has detailed documentation with example codes, on the process that has to be followed to test apps at different levels. The Flutter integration tests which are similar as the Xcode UI tests are provided by a separate package – Flutter Driver. Now that we have looked at all the different elements that make Flutter slightly – or in some cases massively – better than Native iOS and have in some ways given the reason of why should Android and iOS app developers consider Flutter it is time to switch the attention to the developers investing their time in the development of apps that go live on the Play Store. While both Native Android app development frameworks and Flutter come from the same parent company – Google, the shift from Native Android to Flutter is as evident in the case of Android developers as it was for the iPhone mobile app developers. Here are the pointers that we have to highlight in case of Flutter for Android developers and why Native Android developers should expand their skills and try their hands at the Flutter framework. Gradle hands down is one of the most important tools in the whole Android app development process but let’s face it – the build time are very large and are a huge hindrance in the fast development cycles. For having a complete impact of Flutter on iOS and Android app development, it too requires Gradle build but not as many times as the Native Android. While a Flutter build also calls for a Gradle build at the beginning of the development the first time around, it does not require it again for a complete app restart. While Android Studio has also lowered the Gradle build time to a good number, the load time that Flutter comes with, however, beats the Native load time to a huge extent. Native Android comes with separate layout and Kotlin/Java files which make developers get references for the views and then change them in backend files. Flutter, on the other side, requires a single language for designing, backend, while its reactive framework removes the need for references to the widgets – becoming the answer to why create apps with Flutter. Java, even after the launch of Java 8 is leaving behind a trail of the scope of improvements. While Dart has strategically taken in the best of features of a number of different languages, without sliding the much-needed sense of Java familiarity – something that makes the whole development process almost effortless for the developers and profitable for the businesses who choose to invest in a Flutter app development company. Flutter oversimplifies and optimizes animation patterns to be used in mobile apps. The mere fact that Flutter for Android developers allows loading of animation at a speed of 60FPS says it all. Now that we have seen how Flutter has become a framework that solves the shortcomings that both Android and iOS developers face and why create apps with Flutter has become a question not being asked, it is time to see if the need to make this switch is urgent. And if the much sort about the cross-platform framework is even ready to replace the Native development processes on both sides. Is Flutter Ready to be Used for Production? 2018 ended with Google making Flutter come out of the Beta stage and enter the market as Flutter 1.0 for the world of developers to work around and for a number of businesses to add in their app’s tech stack with the promise of greater nativeness and higher performance – in the Flutter Live Event. And just two months later, in February, the now loved cross-platform framework was strengthened with the launch of Flutter 1.2 and Dart 2.2. The constant updates being made in the Flutter framework ever since it has been made live in December are enough to symbolize how serious Google is about the framework and what it wants the iOS and Android mobile app developers and businesses across sectors plan on achieving through its association. While the functionalities set that Flutter app development for iOS and Android comes with and the constant endeavors from the Google team and growing Flutter community to make it issue free and scalability ready is enough to stir the grounds for the Native app developers, the switch time is not today. Probably not for another 2-3 years too. The framework now being used by some of the top app building companies, even after being production ready is struggling with some prominent issues of it all, even after the Flutter developer community having done a brilliant job of eliminating 9000 issues to date. Issues that range from random disconnection of the debugger, crashing of the app with no obvious reasons. So, sitting in March 2019, Flutter is ready to be used by mobile app developers in low complexity apps and prototyping, but to make the switch for a mid or high complexity app project might turn out to be stupidly risky. While this is from the business front or for the time when you are working on an app that would go live in the market, as Android and iOS developers, timing is apt for you to invest your time in learning Flutter and exploring the features it has to offer. If not today, Flutter is only a few issues away from becoming the enterprises and startups’ first choice. And the time is destined to arrive sooner than later, which makes it imperative for you to be prepared. “Flutter Live Event Announcements: Flutter 1.0 Live, Hummingbird, Dart 2.0,�? “What Makes Flutter Ideal For Cross-Platform App Development?,�? “Dart Version 2.0 is Available Now: See What’s New for Flutter App Developers,�?